We say jamdani and you think of Dhakai sarees? Hit up Ssaha in Park Street to shift some paradigms this new year and upgrade your look with jamdani's sophisticated elegance. Our mothers and aunts can go on raving for hours about the grace and style of jamdani, and how they all have a pure pricey jamdani saree tucked in their closet (much like our essential LBD). 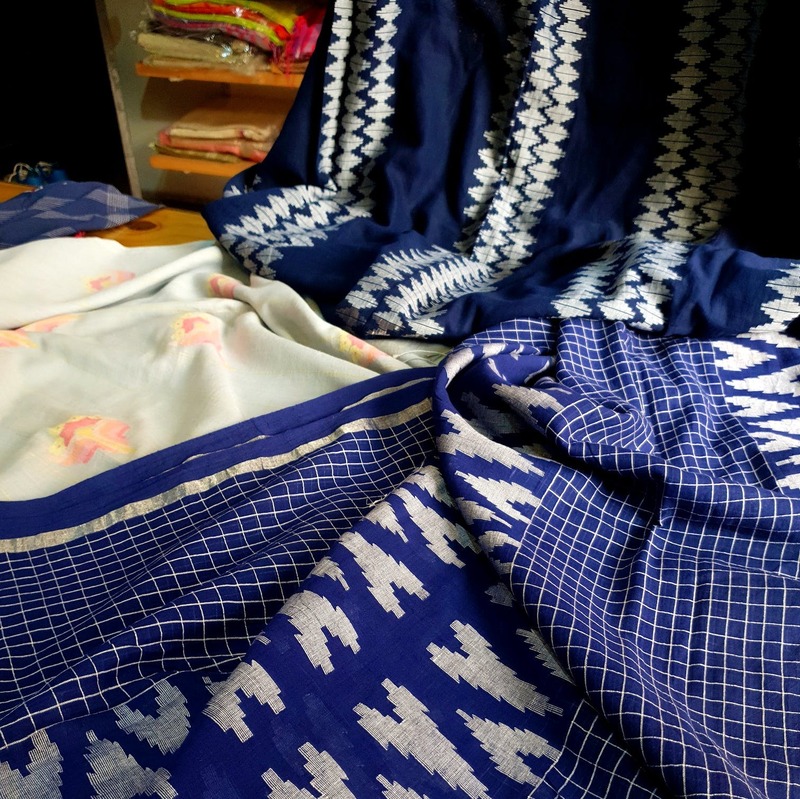 But, when traditional weaves like ajrak, kantha, shibori, bagru and others are all en vogue, why let jamdani get lost simply in the nine yards? Thankfully, Ssaha in Park Street agrees on this and is doing us a great favour by bringing this weave back in style with their fabulous handcrafted clothes and accessories. Tucked away from the eye, you'll have to enter the arching iron gates of the rather shady Karnani Mansions (the building stands right opposite Westside on Park Street) to spot this little boutique. Stoles, sarees, jackets, tunics, kurtas and more - a world of tastefully-crafted refined urban fashion will open up in this store, tbh. All handwoven and handcrafted, you'll find clothes and accessories in organic cotton, cotton khadi, cotton silks and muslins. We simply went reeling on the variety of jamdani weaves we spotted here. Single colours to multi-colours, traditional motifs to moder patterns - Ssaha has a range that will genuinely leave you wanting for more. Stoles and kurtas are definitely the looker here, but don't give the sarees a miss. When the world goes yapping about the finesses of the 250 thread count Egyptian cotton, you must definitely hit up here to pick Nabadwip and Katwa's 400 thread count muslins and cotton wears to show tell them about the bawse! Mostly done in oragnic vegetable dyes and a few (the ones in cotton silks) in AZO-free colours, we loved the pretty pastels, subtle nudes and brilliant indigioes that make their collection. The super soft stoles are the best buy, and you can team it with almost anything that you wear. Wear a muslin saree and it'll be the next best thing to being in your birthday suit because it's so light! The anti-fit tunics and kurtas are a great buy too to sport a classy look. Prices of the stoles atrt at INR 1,500. Sarees start at INR 3,000 and kurtas from INR 2,500. You must definitely check out their home accents made from traditional crafts using coir, madur kathi, terracota and wood. More interestingly, very soon they are about to introduce a herbal skincare and hair care range that'll have things like indigo hair dyes to organic face cleaners.